Belén has been working in social innovation, education, and fashion sustainability. She is into discovering new ways to solve old problems. Now a days she is working in Sunshine Lab, an agency that promotes sustainability in brands through communication. 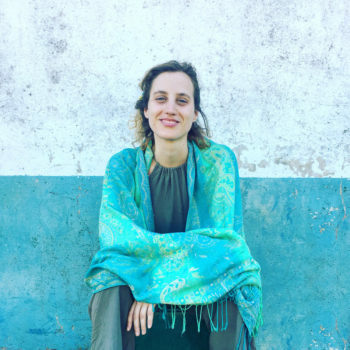 She is also working with her brand “Flanmixto” in which they mix artisanal ponchos made by women in rural areas of Argentina, with up-cycled jackets, in order to customize the poncho. She has worked in Ashoka, in the Ministry of Education and the Ministry of Social Development of Argentina, and she participated in the two-year program of Enseña por Argentina from Teach for All Network by teaching teenagers in high need classrooms with the dream that every kid will one day have access to quality education. She loves to collaborate, so just reach out!